Oil futures settled above $61 a barrel Friday and finished 40 percent higher than they started in 2005 as prices soared amid strong demand and tight supplies. Retailers are hoping an earlier launch of full-price spring apparel will attract shoppers with gift cards in hand and break the industry's recent reliance on discounting. Gov. Arnold Schwarzenegger is set to propose a $1 hike in the state's minimum wage, to $7.75 an hour, over the next 18 months. L.A. gas prices continued their downward trend for the 13th consecutive week, but at a continued slower pace, indicating that the decreases may soon end, said the Automobile Club of Southern California. Shares of Learning Tree International Inc. slid Friday after announcing its fourth-quarter and full-year revenue will come in lower than a year earlier and that it expects a loss from operations for those periods. Investors marked the last trading day of 2005 with the same conundrum they faced all year - trying to find a good reason to buy stocks and coming up short. Fox & Hound Restaurant Group said Friday it agreed to be acquired by Los Angeles-based private equity firm Levine Leichtman Capital Partners Inc. for $15.50 per share, rejecting an offer by rival bidders. U.S. growth is seen easing next year as higher interest rates cool consumer spending, but a recovery in the German economy should support euro expansion. A consortium led by Citigroup Inc. has bid $3 billion for a stake in China's Guangdong Development Bank, a Chinese magazine reported Friday. Hilton Hotels Corp. said on Thursday that it agreed to buy the hotel division of UK-based Hilton Group Plc for $5.7 billion in cash, creating the largest lodging company in the world. Sales of previously owned homes fell by 1.7 percent in November, a fresh sign that the high-flying housing market is losing altitude. AT & T; Inc., formed by SBC's purchase of AT & T; Corp, is planning the biggest ad campaign in the history of either company in a bid to convince customers to stay as competition heats up from cable TV rivals. Stocks ended lower on Thursday, as investors ignored generally benign economic data and looked ahead to 2006 with a mix of optimism and concern. The SEC said the Justice Department may have been too lenient in its plea agreement with Henry Yuen, the former chief executive of Gemstar-TV Guide International Inc., Bloomberg News reported. Business activity in the U.S. Midwest expanded in December at a faster rate than expected, while hiring picked up a bit to reflect rising levels of new orders. In the new year, L.A. companies plan to raise compensation levels for employees, increase initial salary offers and provide more flexible work arrangements, said a survey released Thursday. Oil prices were steady on Thursday after the U.S. government released data showing a slight increase in domestic crude inventories. Ambassadors International Inc. said Wednesday that it plans to buy American West Steamboat Company LLC from Oregon Rail Holdings LLC. Mattel Inc. said Wednesday it will pay former executive Matthew C. Bousquette about $5.4 million in cash severance and hire him as a paid consultant, as part of a separation agreement. Mortgage applications fell to a more than 3-1/2-year low last week amid a sharp drop in demand for loan refinancing even as interest rates held steady. Consumer confidence surged in December as declining gasoline prices and improving job opportunities buoyed spirits, boding well for spending in the new year. Sales at chain stores rose in the week before Christmas, with last-minute shoppers and the late Hanukkah holiday boosting the bottom line. East West Bancorp Inc. said Wednesday it agreed to buy rival Standard Bank for about $204 million, creating a combined bank with $8.8 billion in assets and expanding its Chinese-American customer base. Former top Enron Corp. accountant Richard Causey pleaded guilty to securities fraud and agreed to help pursue convictions against Enron founder Kenneth Lay and former CEO Jeffrey Skilling. Crude futures firmed Wednesday after Iran's oil minister said OPEC should consider cutting production next month, but oil prices remained well below record levels. Rising oil prices and the return of a bond market anomaly cut into Wall Street's early gains Wednesday, leaving stocks with only a modest advance. Shoppers armed with gift cards and poorly greeted presents returned to malls in search of returns, post-Christmas discounts and fresh merchandise. Stocks tumbled Tuesday as the bond market gave signals that in the past have preceded economic slowdowns. The Dow lost more than 100 points. PacifiCare Health Systems Inc. said Tuesday that it will work with six major supermarkets and drugstores to market its new Medicare prescription drug plans. State investigators have subpoenaed several major music companies as part of a preliminary inquiry into whether their digital music services have engaged in any illegal price-fixing activity. Crude futures fell Tuesday after forecasts of milder weather in the week ahead raised traders' expectations of lower demand for heating fuels. Shares of Bally Total Fitness teeter-tottered Tuesday after it said it was considering a poison-pill defense because two of its largest shareholders, including L.A.-based Liberation Investments LP, may be conspiring on a takeover. Guidant Corp. said the FDA sent the company a warning letter about unresolved problems it found during an inspection earlier this year at the medical device maker's St. Paul, Minn., facility. The average price of a gallon of self-serve regular gasoline in the Los Angeles area inched lower for the twelfth consecutive week, falling 2.2 cents to $2.257 for the week ended Dec. 26. Regulators told Refco Securities LLC they may take action against the broker-dealer if it doesn't provide customers immediate access to accounts and property. Investor optimism surged in December to its highest level in 10 months, as lower gas prices boosted optimism about economic growth, a monthly survey said. Sales of new homes plunged in November by the largest amount in nearly 12 years, providing evidence yet the hot housing market is starting to cool down. Clothing seller and designer Tommy Hilfiger Corp. said it had accepted a $1.6 billion cash takeover bid from private equity firm Apax Partners. Amgen Inc. and Abgenix Inc. are hit by a shareholder class-action lawsuit that claims Amgen's $2.2 billion buyout offer for its rival is "inadequate," and other briefs about L.A. companies. NBC Universal bought a controlling interest in MSNBC under a restructuring of the struggling cable news channel, the companies announced Friday. L.A. gasoline prices continued slipping, but the 12-week-long trend of lower gasoline prices may be ending for Southern California motorists, said the Automobile Club of Southern California. Shares of Albertson's Inc. plunged Friday after the supermarket chain said it is no longer considering a sale of the entire company. Consumer sentiment ended stronger in December and better than analysts' expectations, bolstered by falling energy prices, a report showed on Friday. Stocks barely moved before the Christmas weekend on Friday, even though durable goods orders jumped by the largest amount in six months. Ford Motor Co has injected another $2.1 billion into Jaguar Cars to cover heavy losses and investment writedowns at its British luxury car subsidiary. Shares of Staar Surgical Co. soared more than 47 percent Friday after the surgical products maker said U.S. health regulators approved its implantable lens for use in the correction of nearsightedness. Best Buy Co. Inc. said on Thursday that it agreed to acquire privately held Pacific Sales Kitchen and Bath Centers Inc. for $410 million. Microsoft said it would contest a European Commission decision to impose backdated daily fines if it fails to comply with EU antitrust sanctions. The November median price of an existing home in Los Angeles County rose slightly from a month earlier as sales declined across Southern California, the California Association of Realtors reported Thursday. CVS Corp. said Thursday it has been in discussions with Albertson's Inc. regarding the purchase of the supermarket chain's Sav-on and Osco drugstores. Consumers increased spending moderately in November even though the growth in their incomes slowed, and the number of Americans filing new claims for unemployment benefits fell. State Insurance Commissioner John Garamendi said Thursday he will introduce regulations next week to require insurers to base auto insurance rates on a driver's record and not on where they live. Stocks rose for a second session Thursday as unemployment claims fell and consumer spending grew, if somewhat tepidly, without triggering inflation. Crude futures gained Thursday following the release of a government report showing a larger-than-expected drop in distillate stocks. The Conference Board said its Index of Leading Economic Indicators rose in November, helped by fewer people filing for jobless benefits. General Electric Co.'s real-estate unit has agreed to buy Los Angeles-based Arden Realty Inc. for about $3.2 billion in cash plus the assumption of $1.6 billion of debt, the companies announced Thursday. Wall Street overcame its recent caution Wednesday, with acquisitions propping up stocks and lower-than-expected GDP growth easing inflation fears. The University of California has been awarded the contract to continue managing the Los Alamos laboratory that built the atom bomb. Calpine Corp. filed for bankruptcy late on Tuesday, weighed down by $17 billion in debt and court battles with creditors over how to use its cash. The L.A. City Council on Wednesday passed an ordinance requiring buyers of grocery stores in the city to retain workers at the stores for 90 days. The council rejected the opposition of grocery executives. Oil prices rose Wednesday ahead of the government's weekly snapshot of its petroleum supply, which was expected to show dips in stocks of heating fuel. THQ Inc. reaffirmed its third-quarter earnings and revenue forecast, saying holiday sales of its video games are meeting expectations, and other briefs about L.A. companies. Jeff Bewkes will become the sole COO of Time Warner Inc. when Don Logan, with whom he had shared the title of co-chief operating officer, retires. The U.S. economy turned in a strong performance in the summer despite surging energy prices and the Gulf Coast hurricanes, although business growth was slightly lower than the government had estimated. Mortgage applications fell to an 11-month low last week, dragged down by a decline in home purchasing even as interest rates dipped. UnitedHealth Group Inc. said Wednesday that it has completed its $9 billion purchase of Cypress-based PacifiCare Health Systems Inc.
Airport officials expect nearly 2.9 million travelers to pass through Los Angeles International Airport during this year's busy 17-day holiday travel period, slightly exceeding last year's total. Billionaire investor Kirk Kerkorian's Tracinda Corp. said on Tuesday that it sold 12 million shares of General Motors Corp. in December for federal and state tax purposes. Business Briefs: Computer Sciences, Diodes, Occidental, News Corp.
Computer Sciences Corp. is in negotiations with Britain's BAE Systems Plc. to expand a technology-outsourcing contract worth about $1.9 billion over five years, and other briefs about L.A. companies. Morgan Stanley saw its fourth-quarter earnings climb 49 percent, due to strong investment banking revenues and a surge in fixed-income trading. Stocks fell Tuesday, with a sharp decline in General Motors Corp. dragging down the Dow, while broader indexes fell slightly in an end-of-year malaise. Sprint Nextel Corp. plans to buy its biggest affiliate Nextel Partners Inc. for $6.5 billion, or $28.50 a share, the companies said on Tuesday. Wal-Mart Stores Inc. said federal prosecutors were investigating whether it improperly transported returned goods, ranging from hair spray to charcoal. Oil prices rose Tuesday, the first upward move in four days, ahead of a Department of Energy report likely to show a dip in petroleum inventories. Housing starts rose 5.3 percent in November, defying expectations for a slowdown, and producer prices posted their biggest drop in nearly three years. L.A. foreclosures jumped 38 percent in November but the city's foreclosure rate was lowest among the nation's five largest metropolitan areas, according to RealtyTrac's Monthly Foreclosure Market Report. First Consulting Group Inc. said Tuesday it is cutting jobs, including management positions, and closing offices as part of a restructuring and cost-reduction program to improve profits in 2006. Cathay General Bancorp scaled the last hurdle Monday in acquiring New York-based Great Eastern Bank after winning approval from state regulators to buy 100 percent of the bank's stock. Newspapers may be taking a hit, but two local venture capital firms are prowling for acquisitions, particularly in the emerging Hispanic and Asian media markets. The average price of a gallon of self-serve regular gasoline in the Los Angeles area dipped for the eleventh consecutive week, slipping 3.1 cents to $2.279 for the week ended Dec. 19. The challenge from China, a summer of $3 gas, insane housing prices: The L.A. economy takes a licking but keeps on ticking. Gemstar-TV Guide International Inc. won a victory Monday after a judge tentatively rejected a proposed plea deal between former CEO Henry Yuen and prosecutors in the U.S. Attorney's office in L.A.
A new study illustrates the different aspects of L.A's economy in an area-by-area analysis. A vice president and board member at In-N-Out Burgers Inc., who is in litigation with the chain, claimed that executives conspired to oust him as part of a plan to take control of the company. General Growth Properties Inc. has dropped further legal appeals seeking to halt Caruso Affiliated Holding's development of a mixed-use project across from the mall. The Beverly Hilton is pushing forward with a plan to develop hotel-condo units. Amp'd Mobile makes agreements with various producers of reality and scripted television to provide original content for its wireless subscribers, and other briefs about L.A. companies. GE Capital appears to be the winning bidder for Arden Realty Inc. in a deal valued at $5 billion, including the assumption of $1.5 billion in debt, according to a source who worked on an opposing bid. What's hot and what's not for 2006. Attorneys find that pro bono cases can raise their profiles and build new relationships. The owner of the CNN tower in Hollywood has put the building back on the market, despite the cable channel's indecision over whether to stay. Looking back at some key events of 2005. Retailers were anxious Sunday, after the last full weekend of shopping before Christmas appeared robust but not spectacular, despite bargains for many goods. Is L.A. losing a step as the innovation capital? Pfizer Inc. shares climbed Monday morning after last week's ruling that upheld the patent on the company's cholesterol-lowering agent Lipitor. FPL Group Inc. on Monday said it had agreed to buy Constellation Energy Group Inc. for about $11.07 billion in stock, giving FPL a major foothold in the unregulated power supply business. The $13.2 billion Los Angeles Fire and Police Pension System is jumping into real estate investment trusts a sector that some believe has topped out. Circuit City Stores Inc. reported a quarterly profit on Monday, reversing a year-earlier loss, and raised its expectations for fiscal 2006 sales growth. Cocktail prices have soared, not only because bar owners and restaurateurs are faced with rising costs but because they know their patrons will keep drinking anyway. Private equity investors and corporate buyers, flush with cash, continued to pay exorbitant prices to buy other businesses. Kobe Bryant ranks fifth among NBA players in jersey sales down from third place when the Lakers were a championship team, but up from last year's seventh place. Oil futures prices rose Monday, recouping some of a nearly $2 a barrel loss in the previous session partly based on expectations of declining winter fuel demand. Antonio Villaraigosa may be best known for his photo ops, but he's also racked some major accomplishments. The next few months will be decisive. Wall Street's hopes of prolonging its year-end rally were dashed Monday as traders sold off stocks and the technology sector posted a steep decline. Electronic Arts' purchase of the L.A.-based video game maker shows the industry giant is upping the ante in the mobile delivery sector. Outlooks for L.A. industries, from aerospace to trade. 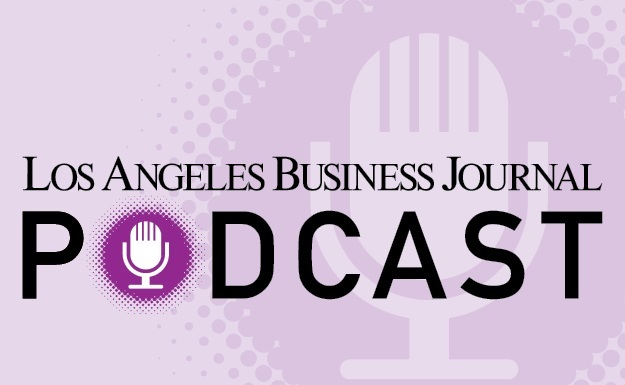 Selected snippets from some of L.A.'s most prominent names in business and government. Computer Sciences Corp. updated its severance packages for upper management. A routine move or a hint that merger talks may be revived? The new Veterans National Park is the result of work by Susan Young, executive director of the Veterans Park Conservancy, which has been trying to preserve land at the Veterans Administration. Cal Poly Pomona's Innovation Village is a surprising success story for Los Angeles, where higher profile efforts to get a biotech complex off the ground have foundered. Teledyne Technologies Inc. will pay $20 million of a $26 million settlement related to the crash of a private plane equipped with an engine manufactured by the L.A.-based company, Bloomberg News said. Two months after its opening, Century City Doctors Hospital may seek additional funding from its physicians and other investors to make up a financial shortfall. Time Warner is negotiating exclusively with Google to broaden a lucrative advertising partnership with Time Warner's America Online unit, ending negotiations early Friday with Microsoft Corp. Spirits High, Gas Prices Low in L.A.
L.A. gas prices fell for the eleventh week, stretching the budgets of Southern Californians entering the final stretch of the holiday shopping season, said the Automobile Club of Southern California. Oil prices fell Friday as traders took note of warmer weather in the Northeast and locked in profits ahead of the weekend. Guitar Center Inc. has agreed to pay $3.5 million to settle two class-action lawsuits claiming its California employees were denied meal and rest breaks. L.A. County's unemployment rate jumped to 5.1 percent in November from 4.5 percent in October as more people entered into the job market. Johnson & Johnson said Friday it has agreed to acquire Animas Corp. for about $518 million to capitalize on the growing demand for diabetes treatment. Albertson's Inc. is set to be sold to an investment group comprised of Cerberus Capital, Kimco Realty and grocer Supervalu for about $9.6 billion, or $26 a share, the Wall Street Journal reported on Friday. Stocks closed lower Friday as markets followed what has become a pattern at the sputtering end of this fourth-quarter rally: Early gains narrow through the day's trading and occasionally turn to losses. The Securities and Exchange Commission said Friday that it has launched an investigation into the $700 million bid made in July for WPT Enterprises Inc. by professional poker player Doyle Brunson. The good times continue to roll at the Port of Long Beach while the Port of Los Angeles is still struggling to recover from last year's record tie-ups, port figures released this week show. Southern Union Co. said it would buy Sid Richardson Energy Services Co. for $1.6 billion in cash, adding 5,000 miles of natural gas pipeline to its network. America's deficit in the broadest measure of international trade showed a slight improvement in the July-September quarter although it was still at the third highest level in history. Inamed Corp. said Thursday its board unanimously approved the company's planned $3.2 billion buyout offer by Allergan Inc.
KB Home on Thursday said its fourth-quarter profit soared 66 percent, beating analysts' estimates, as it sold more homes with higher selling prices. Stocks ended the session lower on Thursday as investors consolidated their holdings despite solid corporate earnings and a large drop in consumer prices. The number of U.S. workers filing new claims for jobless aid rose 1,000 last week, bucking expectations for a small decline in applications. Consumer prices fell 0.6 percent in November, the largest decline in 56 years, as energy prices posted an 8 percent drop, the government said Thursday. Foothill Independent Bancorp on Thursday agreed to be acquired by First Community Bancorp for $238 million in stock and options. Bell Industries raises its offer to buy Coast Distribution System, NBC Universal promotes Jeff Zucker to head the company's expanded television group, and other briefs about L.A. companies. Ralphs Grocery Co. was indicted Thursday by a federal grand jury on 53 criminal counts that alleged identity theft and claimed the grocer created false Social Security numbers to rehire locked-out employees during the 2002-2003 grocery strike. Bear Stearns Cos. said its fourth-quarter profit rose 15 percent on strong proprietary stock trading revenues and an increase in its global clearing business. The Illinois Supreme Court threw out a $10 billion class-action lawsuit against Philip Morris USA, ruling it didn't defraud customers in its marketing for "light" cigarettes. Britain's GUS PLC said Wednesday its Experian unit has bought L.A.-based online shopping service PriceGrabber.com for $485 million, beefing up its business services arm. Six Flags Inc., a regional theme park company that had put itself up for sale, said it had ended the process after the deadline for bids passed without any offers. Activision Inc. on Wednesday warned that its third-quarter, fourth-quarter and full-year earnings will be "significantly lower" than its most recent outlook due to slower sales of its most profitable titles. The report from the Milken Institute reveals wide variations in the economic health of city neighborhoods, with the Westside and San Fernando Valley leading the way and Central, Eastern and South L.A. lagging behind. General Dynamics Corp. agreed to buy Anteon International Corp. for about $2.1 billion in cash, in a move to expand its technology, training and engineering services to the U.S. government and military. Oil prices fell but held above $61 a barrel ahead of a petroleum inventory report expected to show declines, as new forecasts raised global demand levels and warned of a looming price spike. Amgen Inc. said on Wednesday that it plans to acquire drug development partner Abgenix Inc. for about $2.2 billion in cash, or $22.50 per share. Stocks closed mixed Wednesday as sagging energy prices and a strong advance by Honeywell International Inc. sent the Dow higher, but downgrades of Apple Computer Inc. dragged the Nasdaq lower. Cathay General Bancorp said Tuesday that the Federal Reserve Board approved its offer to acquire 100 percent of Great Eastern Bank's stock. Safeway Inc. says it expects next year's earnings to be between $1.55 to $1.65 per share, Walt Disney Co. names a new president of its film division, and other briefs about L.A. companies. Federal Reserve officials gathered on Tuesday for a meeting that should end with a 13th straight interest-rate hike and possibly a signal that a 1-1/2 year rate-rise campaign was winding down. Retail sales posted a moderate increase in November, and American businesses increased their inventories by 0.3 percent in October. Lehman Brothers Holdings Inc. reported a second straight year of record income and revenues Tuesday on strong investment banking and transaction fees. DirecTV Group Inc. will pay $5.4 million to settle charges that its telemarketers called households listed on the Do Not Call registry to pitch programming, the Federal Trade Commission said Tuesday. Households need to earn $22.87 per hour to be able to rent a decent two-bedroom apartment in Los Angeles County, up from $21.62 per hour a year earlier, said the National Low Income Housing Coalition. Ilyanne Kichaven has been named Hollywood executive director for the Screen Actors Guild, the union announced Tuesday. She will take over her post in January. Inamed Corp. says its planned acquisition by Medicis Pharmaceutical Corp. is canceled, Diodes Inc. raises fourth-quarter outlook due to better-than-expected sales, and other briefs about L.A. companies. Stocks made a moderate advance Tuesday as investors welcomed signs that the Federal Reserve may be close to ending its string of interest-rate hikes. Natural-gas prices surged to an all-time high as cold weather and ongoing disrupted production worried traders that supplies of home-heating fuels will be tight this winter. The Federal Reserve on Tuesday pushed a key interest rate to the highest level in 4 1/2 years while signaling that the campaign to raise interest rates to fight inflation was drawing to an end. It's been 13 months since California voters approved an initiative to channel $3 billion to stem cell research, but no money has flowed to local universities. Starting a bank may be easier than you think, so long as you've got a ton of capital and even more patience to deal with multiple regulators. The big news so far this holiday season is that consumers are looking for deals from major discounters. But don't count out Beverly Hills' luxury retailers. Carpet maker Bentley Prince Street was in danger of unraveling a few years ago. Now, managers believe they're on the path to prosperity. A City Council vote on a just-proposed Beverly Hills condominium project could be two or three years off if the proposal is contested. CKE Restaurants Inc. reports higher third-quarter profit and nearly flat same-store sales at its Carl's Jr. and Hardee's restaurants for the period ended Dec. 5, and other briefs about L.A. companies. The Los Angeles City Council is considering letting residents and businesses buy prescription drugs at a discount. Will businesses go along? Most of the new bank start-ups in the past year have been well-capitalized so much so that certain banks have been over-subscribed. Oil prices climbed by almost $2 a barrel Monday after OPEC agreed to keep its production level steady and cold weather raised concerns about rising demand for home-heating fuels. Stocks barely budged Monday, finishing mixed as interest rate worries and a legal setback for Merck & Co. countered momentum from a possible multibillion-dollar acquisition by ConocoPhillips. Southerners Try to Pull Video Game Makers From L.A.
Two southern states are offering tax incentives to lure California's video game industry. But will the gamers go? Walt Disney Co. is moving into the mobile telephone, PC game and online worlds. In a retailing world where most shops have the same efficient but humdrum layout, Giorgio Borruso is known for high-concept visuals. Community opposition led to the demise of 10 years worth of plans for an extensive overhaul of LAX. Lisa Padilla played a role in the redesign of Santa Monica Boulevard and is now planning parkways and stations for the proposed Expo line extension. Video game reviewers, who used to be dismissed as geeks, are now "drunk with power" over their impact on the industry. Due to increasing attention on Iran, a Marina del Rey company whose main customer is the federal government has added Persian to its language-translation software. Two lawsuits were filed on behalf of California residents who purchased DVDs advertised as having closed captioning but lacking that element on the movie's special features. Michael Dunn started working at a real estate brokerage as an obligation, but it became his profession of choice. ConocoPhillips is in talks to buy natural gas producer Burlington Resources Inc. for more than $30 billion, the Wall Street Journal reported on Monday. Gov. Schwarzenegger denied clemency to Stanley "Tookie" Williams, the former gang leader whose case stirred debate over capital punishment and the possibility of redemption on death row. Viacom Inc. said Monday its board approved a stock buyback program of up to $3 billion once Viacom splits itself into two publicly traded companies. Big banks seem to have every advantage, but some copy the practices of the small institutions. A judge declared a mistrial Monday in the first federal lawsuit over the once-popular painkiller Vioxx. There's a bank that makes loans according to Islamic codes, and another one that specializes in flawed real estate deals just some of L.A.'s more unusual financial institutions. The average price of a gallon of self-serve regular gasoline in the Los Angeles area fell for the tenth consecutive week, slipping 5 cents to $2.310 for the week ended Dec. 12. Jack Allen came to L.A. to settle down with his family and attend law school. Instead, he bought the Four Oaks restaurant on a whim, and the eatery eventually became a Westside destination. Only seven months after facing possible bankruptcy, Magnetek Inc. may have engineered a rebound. In L.A.'s clubby scene, bankers sometimes seek advice from competitors, who may be friends and ex-colleagues. Joe Tawil's GAMProducts develops equipment for unusual needs in the stage lighting field. The transition between old and new media is scary and exciting. For all the yammering, no one has the first clue about where things will finally land. Toxic mold claims that have been the bane of the housing industry have meant a boom for the L.A. law firm Wood Smith Henning & Berman. It's not everyday that an executive at a major media conglomerate comments on the war in Iraq. How can a small bank offer online services? By relying on outside companies. DirecTV Group Inc. agreed to pay a total of $5 million to 21 states to settle an investigation into its marketing and advertising practices, New York Attorney General Eliot Spitzer said Monday. Crown Media Holdings Inc. is expected to entertain a second round of bids for its Studio City-based Hallmark Channel later this month. Viacom Inc. unit Paramount Pictures has reached a $1.6 billion deal to buy live-action film studio DreamWorks SKG, after DreamWorks ended negotiations with NBC Universal, the studio confirmed Sunday. Amgen Inc. is no longer just a two-drug company, but that doesn't mean the biotechnology giant won't go to the mat to protect the market for Epogen. L.A.'s hot housing market continues to show signs of cooling. No wonder other states want to lure filmmakers a new study says the average wage of a film and television production worker is $105,000. A former Los Angeles Times researcher and ousted columnist Robert Scheer have teamed up to launch the online magazine Truthdig. Thanks to a surge in TV pilots for network and cable channels, entertainment jobs took off in the first half of the year. L.A.'s coal-hot housing market continued to show signs of cooling in November, with an ongoing decline in the number of homes sold even as home prices recovered from a fall the prior month. Viacom Inc. unit Paramount Pictures reached a deal to buy DreamWorks SKG, after DreamWorks ended negotiations with rival bidder, General Electric Co.'s NBC Universal, the Wall Street Journal reported Friday evening. Falling energy prices gave stocks a modest lift Friday as Wall Street set aside worries about interest rates and a weak forecast from Intel Corp.
Eli Lilly and Co. on Friday said 2006 earnings should top forecasts on growing demand for its new drugs and stabilizing U.S. sales of Zyprexa. L.A. gasoline prices slumped for the tenth straight week, and conditions appear bright for the trend to continue through the New Year's holiday, said the Automobile Club of Southern California. U.S. consumer sentiment improved in early December more than economists had expected, helped by falling gasoline prices and continuing job growth. Oil prices fell on Friday as producer group OPEC appeared poised to keep supplies flowing near full-tilt through the rest of the winter. Alltel Corp. plans to spin off its wireline business, merging those operations with Valor Communications Group Inc. in a deal worth about $4.9 billion. Crown Media Holdings Inc. rejected bids of as much as $1.8 billion for its Hallmark Channel because they were too low on a per-subscriber basis, and other briefs about L.A. companies. GM and billionaire investor Kirk Kerkorian's Tracinda Corp. on Friday said they failed to agree on the terms under which a seat on GM's board would be made available to Kerkorian adviser Jerome York. Korn/Ferry International reports higher second-quarter profit, Digital Insight Corp. signs a strategic partnership with PSCU Financial Services, and other briefs about L.A. companies. Countrywide Financial Corp. said Thursday that its mortgage volume rose 35 percent last month to $42 million, evidence that homebuyers are still in the market for loans. General Motors Corp. confirmed for the first time that it is holding talks with billionaire investor Kirk Kerkorian's investment firm Tracinda Corp. about a "possible" seat on the GM board. L.A.-area businesses are upbeat on the local and national economy and on their ability to continue hiring next year, according to a survey released Thursday by Wells Fargo Economics. Toll Brothers Inc. cut its profit outlook and put its 2007 forecast in doubt, citing the slowing housing market and difficulty in obtaining regulatory approval to build. Stocks extended their losses Thursday after a cautious outlook from homebuilder Toll Brothers Inc. and a surge in energy prices rattled investors. Richard I. Gilchrist announced Thursday he is stepping down as president and co-chief executive of Maguire Properties Inc. No replacement is expected. The number of people who could afford to purchase median-priced homes in the L.A. region dropped sharply in October from the year-earlier period and fell one percentage point from September. L.A.-based mobile game maker Jamdat Mobile Inc. is being acquired by video game giant Electronic Arts Inc. for $680 million, or $27 per share a 21 percent premium over Wednesday's closing price. Cold weather across the Northeast and Midwest raised concerns about increased demand for home-heating fuels, pushing oil and natural gas prices higher. The number of Americans who lost jobs from hurricanes rose to 599,700 last week as the effects of Katrina and Rita continued to be felt months later. Marvin Braude, who served the Westside and the Valley from 1965 to 1997, died Wednesday of complications following surgery. He was 85. Costco Wholesale Corp. on Thursday reported a 12 percent increase in quarterly profit, helped by demand for gasoline and food. Oil prices fell Wednesday as government data showed supplies of oil, gas and heating oil rose last week. Avery Dennison Corp. said Wednesday that it plans to eliminate between 700 and 900 jobs, increase restructuring costs and divest itself of some low-margin businesses. 3M Co. said Wednesday it named George W. Buckley, the chairman and chief executive of Brunswick Corp., as its new chairman, president and CEO. Villaraigosa Taps Long Beach Port Exec to Head Port of L.A.
Los Angeles Mayor Antonio Villaraigosa on Wednesday named Geraldine Knatz, the managing director of the Port of Long Beach, as the executive director of the Port of Los Angeles. Tribune Co. executives said Wednesday that by the end of the year it will have cut 4 percent of the workforce as part of cost cutbacks. NASCAR agreed to an eight-year, $4.48 billion television deal Wednesday that will split its 36-race schedule among Walt Disney Co.'s ABC/ESPN, Fox and TNT beginning in 2007. Nissan Motor Co. will receive nearly $197 million in tax breaks and other benefits to move its North American headquarters to Tennessee from Gardena, Bloomberg News reported. Technicolor Digital Cinema, the L.A.-based division of Thomson S.A., signed a long-term digital cinema equipment usage agreement with Twentieth Century Fox, and other briefs about L.A. companies. Planned U.S. layoffs in November were the highest since July as the automotive sector led all industries in job cuts, a report said on Wednesday. Stocks fell on Wednesday as financial and homebuilding shares declined amid worries about rising interest rates. California's economy will slow next year, led by a downturn in real estate and construction jobs, but there is little chance of a recession, said the forecast released by UCLA's Anderson School of Management. The restructuring plan Ford Motor Co. will announce next month as it moves to restore its North American operations to profitability will be very aggressive. Brian Cartwright, head of Latham & Watkins' U.S. public company practice, is expected to replace Giovanni Prezioso, who announced on Nov. 30 he would leave the agency by the end of the year. NBC Universal and Apple Computer Inc. on Tuesday said they would make certain NBC television shows available for download on the iTunes music store. Orders to factories posted a solid increase in October, providing evidence the economy is rebounding from the hurricanes and a spike in energy prices. Economists may be talking about an economic slowdown next year, but a survey released Tuesday shows local chief executives are very bullish about their companies' fortunes over the next 12 months. Inamed Corp. says a $3.2 billion takeover bid from Allergan Inc. is superior to an earlier $2.5 billion merger pact with Medicis Pharmaceutical Corp, and other briefs about L.A. companies. A jump in productivity, the biggest surge in two years, lifted stocks Tuesday, but early gains sputtered, leaving the market up only slightly at the close. Robert Dowling, publisher and editor-in-chief of The Hollywood Reporter, will be leaving at the end of the year to open his own consulting firm after a 17-year tenure with the publication. Johnson & Johnson, facing a higher rival bid for Guidant Corp., on Tuesday said it remains committed to acquiring the medical device maker but did not raise the bid price it had already negotiated with Guidant. The producers of "Trading Spouses: Meet Your New Mommy" are asking a U.S. District Court judge to throw out a copyright infringement lawsuit filed by the makers of "Wife Swap." Crude futures edged higher Tuesday to settle just below $60 a barrel amid worries that colder weather in the Northeast could boost demand for heating fuels. Sears Holdings Corp., on Tuesday posted lower quarterly profit on sluggish sales, but its shares rose as much as 7 percent as earnings beat expectations. The Los Angeles Dodgers on Tuesday named former Red Sox manager Grady Little as manager of the Dodgers. Little, 55, becomes the seventh manager in Dodgers history and the fifth in the last eight years. William Allen, the new head of the Los Angeles County Economic Development Corp., said he wants to work more closely with other business advocacy groups. Oil prices spiked to settle near $60 a barrel Monday amid reports that a snowstorm would hit the Northeast and boost demand for crude oil and natural gas. A Dallas firm has the Doubletree hotel in Westwood under contract and plans a major renovation of the property. The owner of Santa Monica Place has shelved redevelopment plans until the fate of one of the mall's anchor stores is determined. The Federal Trade Commission has shut down a Canoga Park company for allegedly installing illicit software code onto computers through pop-up windows and ads. Businesses will pay higher fees to cover the cost of additional weights and measures inspectors throughout the county. AVC started out as a video duplicator, and is now designing environmentally friendly and technologically advanced packaging. AECOM merges with San Francisco-based landscape architecture firm EDAW Inc. to give it a foothold in the global market for project master planning, and other briefs about L.A. companies. Arden Realty Inc. is on the auction block, although some analysts are hedging their bets, saying that a deal could ultimately fall through based on price. Newspaper circulation is on the decline, but a new study by Nielsen//NetRatings suggests a bright spot for large papers, and especially the Los Angeles Times: Web sites. Are "Wife Swap" and "Trading Spouses" more similar than different? A lawsuit may have the answer. A new round of payola investigations may change the way record companies promote artists. In a world loaded with competitors, L.A. is having a tough time keeping its customer base. And once they're gone, it's tough to bring them back. The owners of the trendy Geisha House and Dolce Enoteca are exporting their brand of hip L.A. restaurants to other cities. The merger of American BioScience and American Pharmaceutical Partners enables Patrick Soon-Shiong to consolidate control of the companies he created. Shareholders seemed wary, however. When office space in Beverly Hills needs to serve as a consulate, a flag goes up on the wall and suddenly, it's Norway. Gemstar-TV Guide International Inc. said Monday that it sold its SkyMall in-flight retail catalog business for $52 million to a private equity group led by Spire Capital Partners. Los Angeles Orthopaedic Hospital is negotiating to sell a large downtown property to a developer known for building shopping centers anchored by Wal-Marts. Charles Crumpley will become editor of the Business Journal in January. Many small and mid-sized businesses throughout Southern California are struggling with inflationary pressures as companies draw up next year's budgets. Boston Scientific Corp. said on Monday it offered to buy Guidant Corp. for about $25 billion in cash and stock, topping an offer from Johnson & Johnson. Frank Ulf, chairman and chief executive of Covington Capital Management, is taking his own advice. At 74, he's finally doing some succession planning. Some prospective breast implant patients are holding off while they wait for the FDA to approve silicone implants for wide cosmetic use again. KB Home is forming a joint venture to build homes in areas affected by Hurricane Katrina and has already acquired an option on land near New Orleans, The Wall Street Journal reported. Crown Media Holdings Inc. may receive a second round of bids for its Hallmark cable network before the holiday break, the New York Post reported. The Los Angeles Times will close its Chatsworth printing facility and will consolidate production at its other plants, resulting in 110 job cuts, the Tribune Co.-owned newspaper announced Monday. Gillian Zucker is the president of the California Speedway in Fontana, making it the only track in the nation under female leadership. The average price of a gallon of self-serve regular gasoline in the Los Angeles area fell for the ninth consecutive week, slipping 7.7 cents to $2.360 for the week ended Dec. 5. Rodeo Drive is on the move, with 12 new stores opening their doors over the next few months, adding 50,000 square feet of retail space. The nation's service sector grew in November but at a slower pace than in October and slightly slower than analysts expected. Higher oil prices and news of slowing growth in the service sector pulled stocks lower Monday despite some optimism over a $25 billion bid for Guidant Corp. The pressure seems to be easing in the world of online shopping delivery, as retailers and shippers have learned from past glitches and improved logistics. Chevron Corp. has filed a motion to throw out a class action complaint filed on behalf of California consumers who allegedly were overcharged for reformulated or low-emission gas. Soon after joining the board of United Way of Greater Los Angeles in 1998, David Fuhrman wondered if he would be successful in raising funds for the umbrella charity. Verizon Communications said it would look at selling f its domestic directories publishing unit as it focuses on its wireless, high-speed data and corporate customers. Blizzard Entertainment is being dogged by allegations from a father and mother in China who blame the company for the 2004 death of their 13-year old son. KZLA and KOST have adopted an all-holiday music program through Dec. 25 and advertisers seem pleased. The former CFO of Internet advertising firm L90 Inc. was sentenced Monday to 18 months in federal prison for his role in overstating company revenues by at least $4.3 million in 2000-2001. Shares of Lions Gate Entertainment Corp. plunged as much as 13 percent on Monday after it lowered its fiscal 2006 earnings outlook, citing "disappointing" performance of one of its films. L.A. companies are heading to the Southeastern U.S. in a notable shift from previous relocation patterns that limited departures mostly to Arizona, Nevada, Utah and Colorado. The company behind the racy Biatta lingerie ads tries to increase brand awareness in a crowded fashion field. Solid employment data failed to extend Wall Street's rally Friday as renewed interest rate concerns spurred profit-taking and left stocks mixed. Good short-term prospects for the U.S. economy should not distract from huge looming fiscal strains that pose "significant" economic risks, Fed Chairman Alan Greenspan said on Friday. Three groups of bidders, one of which includes billionaire Ron Burkle's Yucaipa Cos., are putting the final touches on offers to take over supermarket chain Albertson's Inc., the Financial Times reported. The owner of Santa Monica Place has shelved its controversial redevelopment plans until Federated Department Stores Inc. determines whether it will shutter one of the mall's two anchor stores. The Walt Disney Co. announced the election of two new independent board members Friday: former Starbucks Corp. CEO Orin C. Smith and former Procter & Gamble CEO John E. Pepper Jr.
America's payrolls snapped out of a two-month hurricane-induced funk in November and grew by 215,000, the most since July. The unemployment rate held steady at 5 percent. Tribune Co.'s November newspaper ad revenue fell 2.4 percent, the company said Friday, reflecting a 6 percent national advertising drop that was blamed on weak ad sales at the Los Angeles Times. Oil prices rose above $59 a barrel Friday, buoyed by natural gas futures surging on forecasts of colder weather. L.A. gasoline prices fell for the ninth straight week, and the downward price trend is likely to continue through the end of the holiday season, said the Automobile Club of Southern California. Icahn Partners LP and Icahn Partners Master Fund LP said they will make a tender offer to raise their stake to 51 percent of Fairmont Hotels & Resorts Inc.'s shares. Fandango has partnered with TiVo Inc. to create a service that allows TiVo subscribers to buy tickets to movies directly over their televisions. Holiday bargains drew shoppers out in droves in November, but mall-based stores that held back on the discounts had quieter cash registers. Average U.S. home prices jumped 12.02 percent from a year earlier, a slowing from the record pace of the previous quarter yet still a strong increase. L.A. Mayor Antonio Villaraigosa on Thursday announced a settlement with three cities, the county and a neighborhood group that had sued to stop a massive overhaul of LAX. The manufacturing sector of the nation's economy grew at a slower pace in November than in the previous month, according to a private group's survey. Consumer spending rose 0.2 percent in October, driving the personal saving rate into negative territory for the fifth month, while jobless claims fell last week. Youbet.com Inc. agrees to buy privately held United Tote Co. for $34.2 million, Guess Inc. says its November same-store sales rose 15.8 percent, and other briefs about L.A. companies. Stocks soared on Thursday as investors welcomed inflation-friendly economic data and hoped the November rally would continue through year-end. Oil prices rose Thursday after a government report showed declines in crude and gas inventories last week. Anemia drugs made by Thousand Oaks-based Amgen Inc. may have a risk of triggering a rare condition called aplasia, which damages red blood cells, the FDA said Thursday.